The Youth & Opportunity United building. Y.O.U works with youth from third to 12th grade to close the opportunity gap by stressing academic, social and emotional learning. This story is part of a series of profiles of activist and community groups across Evanston. Simone Hampton was first exposed to Youth & Opportunity United in middle school, when it was just a drop-in center at the church across the street. Many of her peers at Chute Middle School went through Y.O.U. programming, as did her younger sister years later. By the time Hampton graduated from college, she knew she wanted to work closely with children and teenagers. In Y.O.U., she saw an opportunity to do so. Hampton became involved with Y.O.U. nine years ago and has been the after-school program director of its Dawes Elementary School center for the past four years. Y.O.U. was founded in 1971 as a drop-in center at Nichols Middle School, and the organization has since expanded into 11 different schools throughout Evanston, Skokie and Morton Grove. Y.O.U. 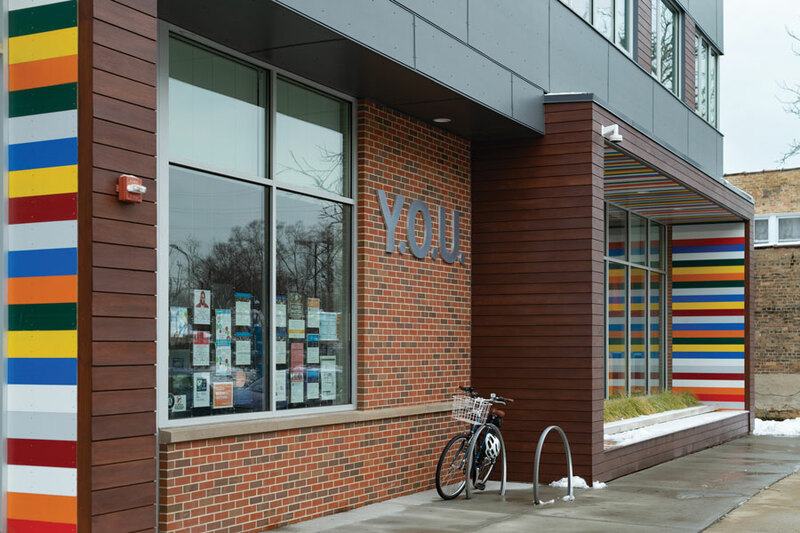 operates offices within each of the schools, except for Evanston Township High School, which is serviced by the organization’s center located across the street. Y.O.U. serves more than 1,600 students from third through 12th grade, striving to close the opportunity gap — the disparity in access to resources needed to have post-secondary and life success — and prepare them for post-secondary success. Its board president, Cindy Wilson, said it emphasizes social, emotional and academic growth to help them succeed regardless of factors like race, income and sexual orientation. Each Y.O.U. site has its own staff consisting of a program manager, clinicians, AmeriCorps workers, part-time staff and volunteers who conduct age-specific programming to enhance youth education. The bulk of the organization’s work happens during Out-of-School-Time programming, which provides student participants free academic and emotional support, free of charge. The first hour of programming usually involves homework assistance, said Y.O.U. CEO Maggie Blinn DiNovi, followed by enrichment opportunities specific to each school. “Eighty percent of the kids’ time is spent out of school, so that time is really important,” she said. At Dawes Elementary School, Hampton and her programming team incorporate social and emotional learning into the students’ lives through Pixar movies. After watching 10 minutes of a Pixar movie, students complete a follow-up activity analyzing themes, such as facing adversity or being different from others, that correspond with important social and emotional skills. “That’s kind of one component of our social-emotional learning that we try to integrate into the youth to make it fun for them, but then still relevant to the work we’re trying to do with them,” Hampton said. Blinn DiNovi said this programming builds confidence and resilience in youth while changing the trajectory of their post-secondary lives. Y.O.U. works closely with parents of the students, giving them a better understanding of the participants’ backgrounds, Blinn DiNovi said. Support from community groups also helps enrich the program’s curriculum. Partners include Northwestern University’s Block Museum of Art, EvanSTEM — which seeks to improve STEM access to Evanston students who have previously underperformed or been underrepresented in STEM programs — and The Talking Farm, which teaches sustainability and urban farming. Megan Orleans, director of elementary Out-of-School-Time programming, said Y.O.U. provides a place for students to take “safe risks” as they try new things and gain new skills. These opportunities continue into the summer, when partnerships are central to Y.O.U.’s summer program as well, Blinn DiNovi said. The summer consists of eight weeks of programming to help reduce summer learning loss while also offering engaging and fun enrichment opportunities, she said. Y.O.U.’s annual celebration of King, Diverse Communities United, embodies its mission to be a “youth-driven” organization, Orleans said. She said Diverse Communities United offers youth a “literal stage” to showcase learning from Y.O.U. programming, expressed through spoken word, dance, slam poetry and other forms. Events like this, coupled with regular programming, help youth build confidence in who they are as they explore their identities, Hampton said. “Just seeing the kids matriculate through my program and go through other Y.O.U. programs, hearing and seeing the impact that I had and that the program had in their lives, is really powerful,” Hampton said.